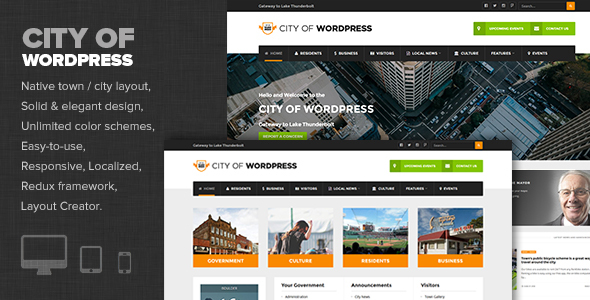 City of WordPress – a premium WP theme developed specifically for small or medium towns and cities and ideal for local and municipality websites. Theme comes with native town / city layout and includes fresh, elegant and modern design elements. 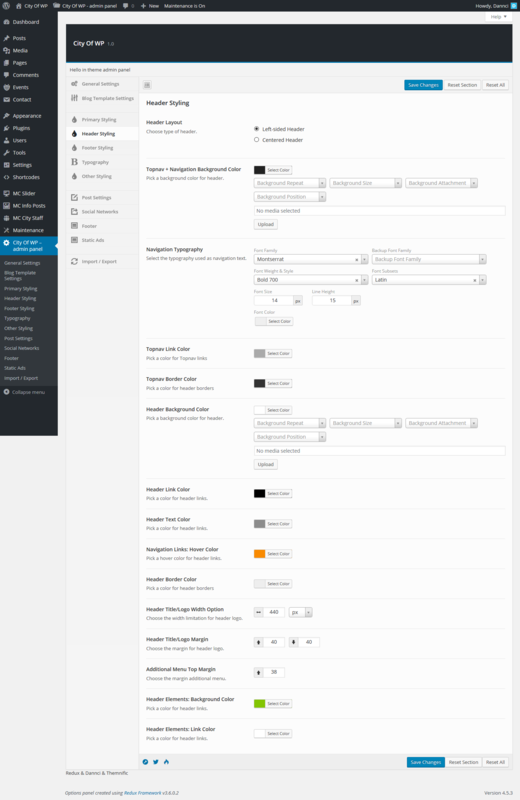 Easy-to-use back-end dashboard powers flexible, modular and responsive layout. Theme includes lots of features like Drag & Drop Layout Creator, unique Layout Creator blocks, support for WooCommerce etc. You will receive a detailed documentation along with additional features like Unlimited color schemes, Google web fonts, custom widgets and page builder blocks etc. Functions are based on solid back-end Redux framework.